The history of the Manse dates to 1886. The building became an Ontario Historic Site in 1965 and a National Historic Site in 1997. In 1974, white stucco was applied to the exterior limestone bricks. In 2001, Uxbridge Township and L.M.M.S.O. removed the stucco, returning the exterior to the original brick. 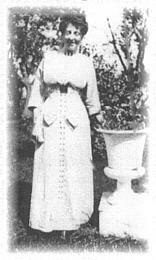 Today, the physical integrity of the Manse is strong, much as it was during her stay from 1911 to 1926. Home and garden, dear to L. M. Montgomery, were her environment, crucial to her literary imagination. This is where she stood. This is what she saw. 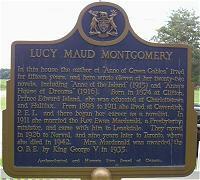 L. M. Montgomery dreamed of writing a book that would live. The globally acclaimed author’s books do live. Dreams do come true. The author’s story will be told. sewing on buttons and patching clothes. pulling tales out of floorboards. We’re bringing the Manse back to life. her dreams, her angst, her sensitivity. 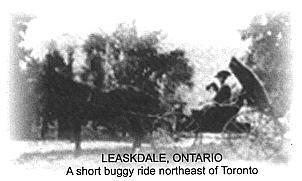 * Adapted from Rainbow Valley by L. M. Montgomery.